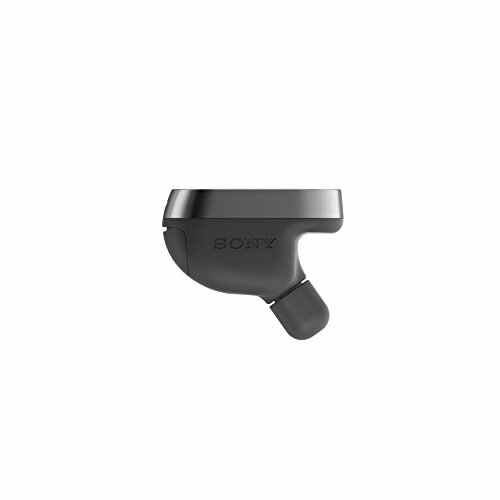 Introducing Xperia ear, the innovative new personal assistant from Sony that intelligently helps you manage your day. Bluetooth and NFC enabled, you can send and receive messages, hear personalized information and news updates, check your schedule, search, and navigate Without having to look at your phone. With voice command technology, Xperia ear lets you dictate a text that you can send immediately or save for later. In addition to voice command, you can also accept (or ignore) phone calls with head gestures. Xperia ear knows when it has been placed in your ear and will automatically turn on to read updates and calendar reminders so you never miss an important meeting or occasion. It also comes with a sleek storage case that doubles as a portable charger, so it's powering up even when you’re not wearing it. Lightweight and comfortable (6.6 grams). soft silicone inner earpiece with several customizable gel caps. Metallic finish on the outer part of the earpiece and IPX2 rating water protection. Voice command technology with Dual microphones, noise suppression, and echo cancellation. Accelerometer, gyroscope, and proximity sensors that turn the ear on automatically once inserted and allow you to use head gesture commands. Storage case that doubles as a portable charging unit with 300Mah lithium-ion battery provides up to 16 hours of Talk time and up to 80 hours of use on standby with standard USB charging.